Scallions and spring onions are both species of onions, often confused with one another. The basic difference can be specified through their appearance and taste. 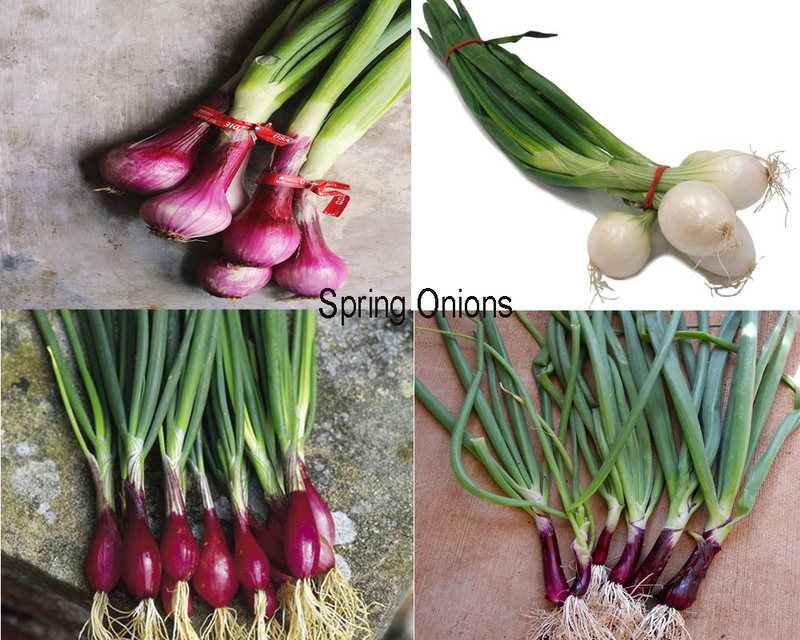 The appearance is almost the same the key factors while picking up them individually is that scallions are long, white and have no onion bulb formation at the base. 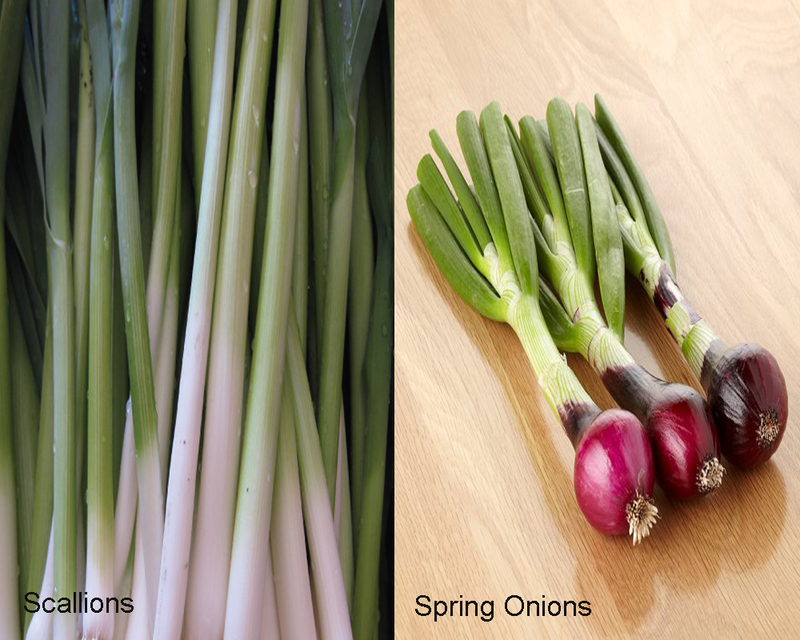 While spring onions are exactly same in appearance except the fact that they do have onion bulb at the base which is usually either white or red in color. Now talking about the difference in flavors of scallions and green onions is that, spring onion is more intense in flavor as compared to that of the scallions. Spring onions are widely used in Asian cooking and they are more mature than scallions as they are harvested for a longer duration. Also, they are called spring onions as they are harvested in spring. Also, spring onions are sweeter than regular onions but the green part which is more intense than that of scallions. From roasting to grilling, decorating or using a raw wide variety of choices to pick depending on the dish and cuisine. 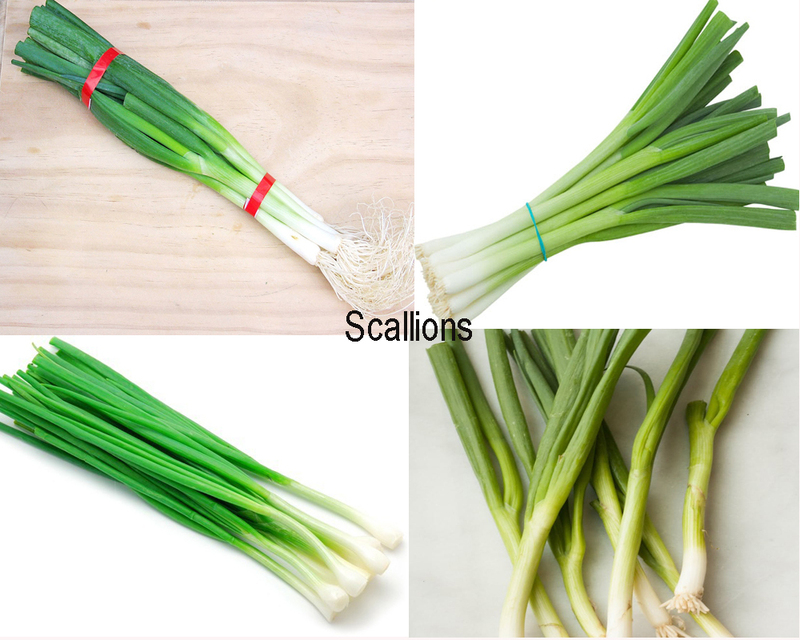 Specifying further scallions are great for salads as they are not overpowering and can be garnished by chopping raw finely and the bottom part can be used separately grilled or sautéed. While spring onions have a spicy green top and can be roasted whole, more elegant side dish and they do always stand out. Read also : Spring Onion vs Green Onion. Spring onions can easily be the start of the whole dish as they stand out always. Filled with pungent flavor, mature, elegant in appearance they are the highlight of the dish. Great with meats and used extensively used as a side dish but you can plan a dish around spring onions. 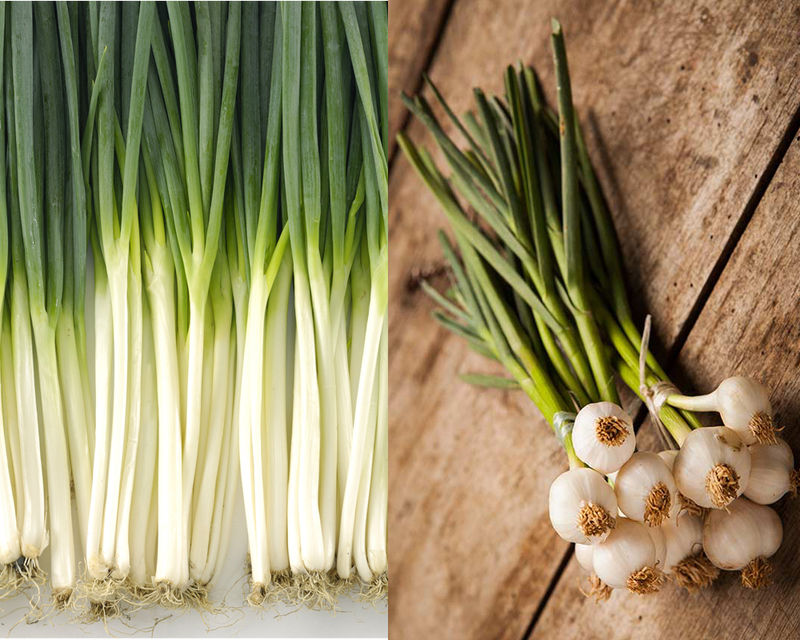 Fresh, light on the palate, easily available but never goes unnoticed that’s spring onions such a versatile vegetable.